NTT Data Walkin Recruitment 2016-2017 in Chennai Freshers On 19th Nov 2016. NTT Data job openings in Chennai for freshers on 19th Nov 2016. Practice NTT Data (Dell) Placement papers before attending the drive, so that you can easily crack the online test. Arts and Science graduation students can apply without having any backlogs. Interested and Eligible candidates can directly attend the walk-in Drive at below mentioned venue. Any Arts & Science graduate without standing arrears. Any Engineering graduate with less than 7.0 CGPA can apply. (B.E, B.TECH – IT /CSE and PG Graduate are not Eligible). Experienced candidates with max 18 months of experience are eligible. Note: Please carry your updated profile & Government ID proof for this interview. NTT DATA Corporation is a Japanese system integration company and a subsidiary of Nippon Telegraph and Telephone. Nippon Telegraph and Telephone Public Corporation, a predecessor of NTT, started Data Communications business in 1967 NTT following its privatization in 1985, spun off the Data Communications division as NTT DATA in 1988, which has now become the largest of the IT Services companies headquartered in Japan. NTT DATA is a publicly traded company, but is about 54 percent owned by NTT. Its business areas are in national and local governments, financial, and telecommunication sectors. 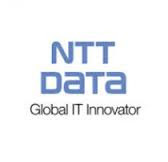 According to reports in 2012, Forbes Global 2000 recognizes NTT DATA as the 5th largest IT Services company. Location 1 : DLF IT Park, NTT DATA (DELL) Block – 7 , 2nd Floor, Ramapuram, Mount Poonamallee Road, Manapakkam, Chennai-89. Location 2 : NTT DATA (DELL), AMBIT IT Park, 3rd Floor, Industrial Estate, Ambattur, Chennai-58.